Posted on December 14, 2016 by Tom Manoff	in Uncategorized and tagged featured-right. The promo from the Oregon Bach Festival hit YouTube like a quip from the Jon Stewart Show. “We asked composer Sven-David Sandström to rewrite the most famous choral piece of all time. And he said, JA ! And I thought, WHY ? Reset Handel’s Messiah to honor the 200th anniversary of the composer’s death? You can not be serious, as the the saying goes. But seriousness – or the lack of it– was what the Messiah Gone Awry Affair was all about. I’ve never been a stuffed shirt about classical music tradition. If anything, I’m known as too much the populist. But with classical music on the skids these days, I want programmers to take chances. And I’m open to new music that can be promoted in any way that might entice an audience. But there’s hype and then there’s hype. Resetting Handel’s Messiah had shock value. It got your attention. But this seemed hype bordering on arrogance. One had to hope that, beyond novelty, a “respectable” work would emerge– a “serious” work, if you will. After all, conductor Helmuth Rilling, longtime artistic director of the Oregon Bach Festival, has a fine reputation for commissioning new and attractive music. Rilling doesn’t commission just anything. He’s sought new music that would extend the Bach tradition in a contemporary manner. Perhaps the most successful embodiment of Rilling’s vision was a four-way commission of culturally varied settings of the Christian passion text: Wolfgang Rihm’s Lukas Passion; Sofia Gubaidulina’s St. John Passion; Tan Dun’s Water Passion; and, most famously, Osvaldo Golijov’s La Pasión Según San Marcos. I took the Sandström Messiah seriously. I had both vocal and orchestra scores for a month before the premiere. No way I’d make a judgment about this work based on a single hearing. I’m guessing that the first you want to know is how Sandstrom set the famous Halelujah Chorus, right? So did I. Immediately I scanned the score looking for those historic syllables. One could argue that this wasn’t a serious way to approach the piece. I should have started at the beginning and followed the composer’s flow. But the urge to deconstruct the work speaks to the unavoidable novelty of the undertaking. It was as if a painter announced a new version of the Mona Lisa. One first would check out the smile. Sandström got the Hallelujah issue out of the way early. Tricky off-kilter rhythms. No real melody. More rumbling than singing. 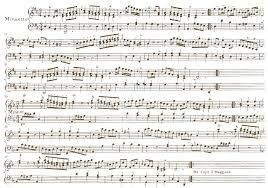 Staggered accents on the famous syllables made clear that anyone expecting something similar to Handel’s sturdy rhythmic utterance weren’t going to hear it. A good choice by the composer I thought. Get expectations about the Hallelujah Chorus out of the way. Proclaim no allegiance to Handel’s music and move on. Sandstrom employed a variety of harmonic styles. There seemed to be four. First, there were unadorned, uninspired and ridiculously old- fashioned progressions. Repeated I and V7 chords scoured away any hint of modernity. Contemporary composers can use harmonies from the past successfully, but most often with some special “take,” some attractive twist in harmonic craft. A second type were so-called “Jesus Chords” – harmonic progressions in movie music that seem to “open the clouds” during miraculous moments. A third type consisted of disjointed modernisms- a cluster here, a dissonant chord there. But for my ears, these were used in isolation with no long range design. The combination of these random acts of dissonance with the overly- sweet consonant sections had an uneasy effect . A fourth kind of harmony was heard in some choral sections. Here Sandström used voices in imitation but on a static chord. Perhaps it was an attempt to evoke Handelian counterpoint. But real counterpoint rests within harmonic progressions. That is counterpoint’s magic, and for the composer, counterpoint’s craft. Heard in this simplest of harmonic settings, these voices were merely adornment. Busy, yes. Counterpoint, no. On the melodic front, none of Sandström’s setting was memorable. No ravishing vocal line soared above the movie-like harmonies. Nothing catchy charmed the ear. One remembers here that Handel was an extraordinary genius with melody. If one looked to a primary compositional skill for this project it would be writing memorable melodies. On rare occasion there was attractive music from the chorus. But the vocal writing was often so high that singing became technically strained. Sopranos and tenors sat on A’s and even Bb’s for extended passages. The result was most unpleasant. Finally, the word rhythms were clumsy. Sandstrom demonstrated no ability at setting English in its natural rhythms. This seemed the worst artistic miscalculation of all. I wish I had something positive to say about the work. But I don’t. Even pastiche fails as description. Successful pastiche has an aesthetic viewpoint that makes its various styles work. Golijov’s Passion, one of Rilling’s most inspired commissions, is an instructive example. True, the audience was on its feet at the end. That’s positive, right? And Sandström is a really nice fellow. His enthusiasm at hearing his work for the first time was heartfelt and appreciated. An odd sidebar to this Messiah was that it happened under the new regime of John Evans- the recently appointed executive director of the festival. Coming to the Oregon Bach Festival from the BBC, Evans is also a Benjamin Britten scholar. Britten was one the greatest 20th- century composers at setting the English to music. Evans is a skilled programmer. He’s quickly extended the festival’s scope and audience with some important moves. Most notably, he’s brought Monica Huggett and her Portland Baroque Orchestra to fill the much- needed gap at this Bach event: historically informed performance. Evans has also programmed crossover artists to build audiences and loosen up a bit the serious image of the festival. He’s right on target to make a festival not only “important,” “meaningful” and “serious,” but also fun. But rewriting the Messiah took on seriousness with silliness. Surely it was a Rilling miss. And certainly, with his many successes at commissioning works, Rilling will miss now and then. But Evans must have crossed his fingers just a bit as he touted the Sandström commission publicly. Rilling is still the official artistic director until he retires. But the festival, in essence, has two artistic directors. When Rilling does retire, Evans, it seems, will take the helm in all matters. That said, one hopes that Evans’ bag of tricks –and to keep a classical festival going these days, one needs a bag of “this and that” – will include commissions of important and serious new music for our time. More than hype. And that will be where Evan’s ultimate reputation will lie. Classical music is on hard times. It’s important that we put our efforts behind adventurous programming and new music from living composers. But that commitment calls for honesty from music critics. No point in blindly supporting anything new simply because it’s contemporary music. Contemporary music cannot succeed without serious criticism. Responses will differ, but without critical, thoughtful evaluation, we’re going to hear more hyped and silly stuff. With fewer resources in the classical music culture, it’s imperative that organizations with funds and forces like the Oregon Bach Festival mount new works of substance. Hyping too easily fools us into mediocrity. Sorry I can’t muster up a Hallelujah. Hopefully next time.